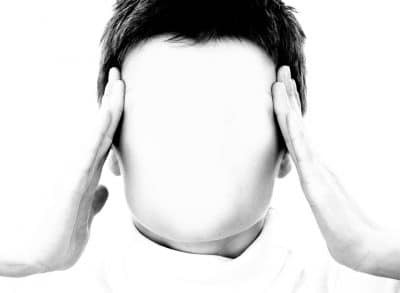 Migraine is the 3rd most common disease or illness in the world. Nearly one in four households in the United States of America has at least one member with a migraine. A migraine is more common in women than men. In the USA, 18 percent of women are suffering from a migraine over 6 percent of men. Surprisingly migraine is can also have happened with children. However, migraine is common between the age group if 25 to 55. According to a recent survey of World health organization, it has been revealed that a migraine is one of the 20 most damaging diseases worldwide. There are many available methods for getting relief while having a head pain. The following list includes natural home remedies for migraines. Applying something spicy may not sound good while having a migraine but cayenne has the natural power to fight against the head pain and the swelling. The secret behind it is the nutritional element that is called capsaicin. Take a bowl of 4-ounce warm water. Mix half teaspoon of cayenne powder into it. Allow a cotton swab to wet thoroughly by the mixture. Apply the wet swab gently inside each of your nostrils. It may seem unpleasant at first, but after completing the process till the mixture gets cold, you will feel much better than before. everyday tension or a headache. It has no side effects like other medicines. All you need to do, eat 3 to 4 almond early in the morning. Apple cider vinegar is also called ACV. ACV has a good reputation in the history of home remedies for migraines. Take a bowl and fill it with one-fourth of ACV and 3 cups of boiling water. Put a towel over your head and trap the steam. Make sure your face does not get too close to the steam. Do this method for five to ten times. When you are done with it, use a fresh towel to pat your face. After that, drink a glass of cold water. This process will help you to fight against the pain of a migraine. you can get rid of headache and tension. It helps you to stretch your muscle and focusing better. As an overall result, you will feel stress-free. You might be thinking you are alive, so your respiratory organs are functioning fine. But if your head pounds, you may not get the most of the oxygen at every single inhale. Be careful and make an effort to inhale a full, deep breath that starts from your diaphragm and ends by filling up your lungs completely. In this way, you will get sufficient oxygen circulating in your blood. This process will allow you to relax your body and mind. If possible, go for a walk in the morning or evening time. It will be more helpful if you can exercise in the outside. Cold air and change of scenery have something that allows your body and mind feel good. A routine makes it possible to function well in all aspect, at least anatomically and psychologically. There is no better habit than a regular exercise as it is very effective natural home remedies for migraine. A migraine can be triggered up by the hormonal changes of the human body. This is why a migraine is very common during the earliest period of pregnancy. Even the changes in blood circulation can cause tension and headaches during pregnancy. A pregnant lady needs to take rest as well as possible. Also, they need to eat healthily and take care with their posture. Hormonal changes during the menstrual cycle are the main reason behind the menstrual migraines. Hormonal headaches can be cut down by drinking at least 3 liters of water daily. It is also suggested to follow a healthy diet and do yoga and meditation during the period. A patient with a migraine often has the problem of nausea. In fact, a recent study showed that 8 out of 10 people in the USA have nausea along with a migraine. 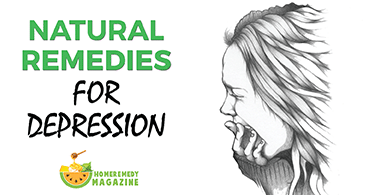 Change in lifestyle and reducing stress are the only possible natural remedies for migraine nausea. Having a headache during the job is very common today. Headache remedies at work include drinking more water, avoiding caffeine and salty food. However, let yourself hungry for the longest time. Improve your posture: An improvement in your posture can help you to fight against a migraine. Eat less chocolate and caffeine: chocolate and caffeine contain the same ingredients that can trigger up a migraine. Drink enough water: We do not drink enough water on a regular basis. It is suggested to take at drink at least 3 liters of water daily to prevent a migraine headache. Avoid Alcohol: If you feel like a hangover just after taking the first drink, it is suggested to avoid drinking that night for reducing the chance of a migraine. Avoid taking the too much birth control pill: Many women take birth control pills on a regular basis. However, it may lead to irregular periods that can cause a migraine. 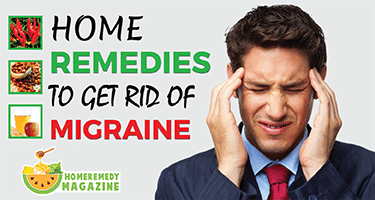 So migraine can be terminated by these natural home remedies. If you do not get an effective result by these methods during a migraine attack, then visit a doctor.